The most popular television shows of 2016 include Game of Thrones, The Walking Dead, Pretty Little Liars, Westworld, and The Flash. There are a few series listed there I haven't seen yet and will need to add to my binge-watching to-see list. While I was adding to my list, I was curious to find out what TV shows are popular in different countries. 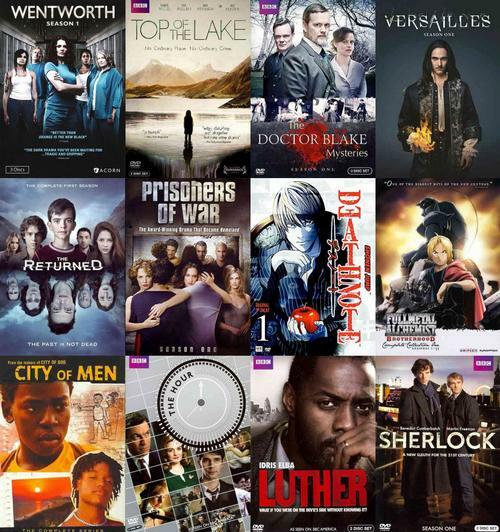 Below are some popular TV series in various countries around the world that are available to borrow from the Free Library's catalog. Don't worry if some aren't in English, you can use subtitles! Go ahead and place your hold on these DVDs today! When Bea Smith arrives at Wentworth Prison, arrested for the attempted murder of her abusive husband, she is thrown head-first into a hostile and unforgiving environment with rules of its own. Bea tries to stay out of trouble, but quickly becomes caught up in a brutal rivalry between celebrity inmate Franky and former mob boss Jacs. Wentworth proves to be a dangerous place for the officers as well as the inmates, who are often prisoners to their own personal dilemmas. A pregnant 12-year-old girl who won't reveal who the father is, walks chest deep into the freezing waters of a New Zealand lake and disappears. Robin Griffin is called in to investigate and becomes more and more obsessed with the case. As she searches, she slowly begins to realize that finding the girl is tantamount to finding herself, a self she has kept well hidden. A powerful and haunting story about our search for happiness, where the dream of paradise attracts its dark twin, the fall. In 1959, Dr. Lucian Blake returns to his Australian hometown to continue his late father's medical practice, but it is his additional responsibility as the town's chief medical officer that leads him to investigating cases of suspicious death. In 1667, the powerful king of France, Louis XIV, is but 28 years old when he decides to build Versailles, the greatest palace in the world. After draining the budget, affairs and political intrigues complicate things. A seemingly random group of people find themselves in a state of confusion as they attempt to return home. What they don't know is that they have been dead for several years, and no one is expecting them back. Buried secrets emerge as they grapple with reality, struggling to reintegrate with their friends and families. But they aren't the only ones back from the dead. Their arrival coincides with a series of gruesome murders that resembles the work of a serial killer from the past. The story of three Israeli soldiers captured for seventeen years and the lives they return to after being released. Season One begins with two soldiers and the remains of a third brought home to the families they have been estranged from for so long. Light Yagami is an ace high school student with great prospects, yet he's bored out of his mind. When he finds the Death Note, a notebook dropped by a rogue Shinigami death god in which any human written in it will die, he vows to rid the world of evil. After Edward and Alphonse Elric's reckless disregard for alchemy's fundamental laws, the brothers scour a war-torn land for the Philosopher's Stone, a fabled relic which grants the ability to perform alchemy in impossible ways. After Frank "The Fixer" Tagliano testifies against his Mafia boss in New York, he enters the Witness Protection Program and makes an unusual demand: He wants to be set up with a new life in the Norwegian small town of Lillehammer—or as he calls it, "LILYHAMMER." Thrust into a brand new world, Frank is confronted with a colorful cast of characters totally unlike anything from his old life in New York. Two best friends grow up together in the "favelas," shanty towns built in the mountains around Rio de Janeiro. London, 1956. At Lime Grove Studios, the BBC has just launched 'The Hour,' a topical news program. At the heart of the show are three contrasting journalists: enigmatic producer Bel Rowley, a spirited woman in a man's world; her best friend, Freddie Lyon, a brilliant and passionate reporter; and charming, well-connected front man Hector Madden. As Freddie moves to cover a significant but controversial story, the trio becomes entangled in an intense interplay of politics, ambition and romance, all ignited by a mysterious murder and chilling conspiracy. Holmes and Watson solve cases, following clues and killers in present-day England. 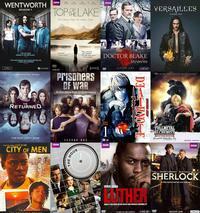 What is your favorite TV series? Please share in the comments! Please add the History Channel's "Vikings" to this line up of must-see shows. It's an excellent Norse drama. Thanks for the suggestion Tee!